​Advice to novice writers is that Acts One and Three should take no more than 25% each of the novel, with Act Two comprising 50-80%. The Bible is once again right on target with Act Three significantly shorter than the other two acts. Act One is about 15 chapters in length but covers about two thousand years in time. Act Three is about 3-4 chapters and covers just over a thousand years. Act Two covers the rest (a conservative estimate is about four thousand years). Let's take a look at the Climax, Dénouement and End of Act Three. 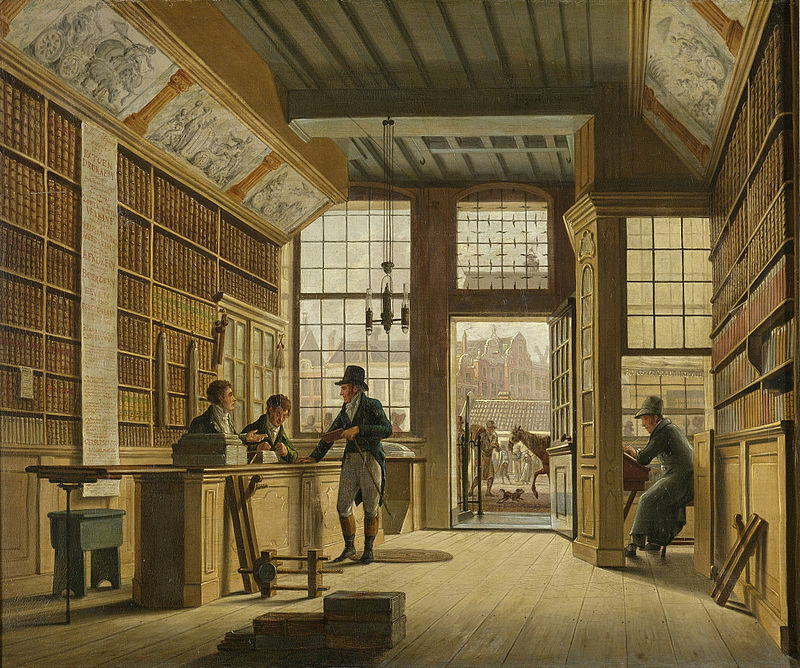 The Shop of the Bookdealer Pieter Meijer Warnars on the Vijgendam in Amsterdam by Johannes Jelgerhuis, 1820, oil on canvas, Rijksmuseum. Credit: Wikimedia Commons. ​In this series on the Bible’s amazing three-act structure, we are looking at the elements of its plot and how they correspond to the same elements in every great story ever published. My little theory is that some part of our soul knows a good story has a strong protagonist, a slightly less strong antagonist and a series of obstacles leading to high-stakes climaxes as the story progresses to its happy ending. This doesn’t mean the Bible is a cleverly concocted work of fiction, but that fiction gives glory to the “Author of salvation” in mimicking the storyline of world history. In this post, I look at the exciting Disaster, Crisis and Climax of Act Two. ​As you recall, Act One is all about the set-up. We’re introduced to the characters and what drives them and we get a first glimpse of the bad guy because a problem arises that forces the protagonist into action. He may waver a little at first, but by the end of Act One, he’s committed to a plan of action that he’ll carry to completion. In the Bible, Act One is about God’s loving relationship with his human creatures going awry when they disobey his one rule and choose to believe a lie that they can live independent of him. God wants to win them back and we get a glimpse of his plan when he calls Abraham out of his polytheistic culture and promises to bless all the nations of the earth through his offspring. Act Two is all about the obstacles to this plan of action. Over and over again, we see covert enemy forces trying to destroy this people and their fragile relationship with God. There are many obstacles, but I’m going to focus on three big ones before we get to the surprising Mid-Point Twist. 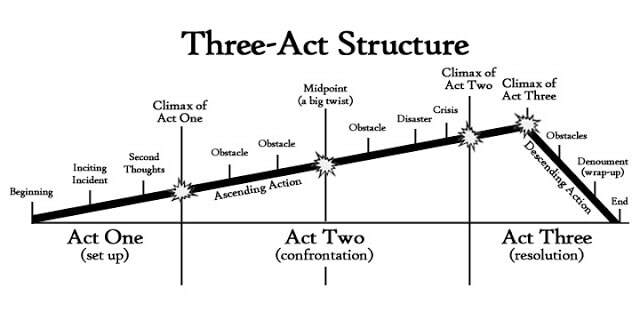 I’ve been studying the three-act plot structure as I try to shape my vague ideas for a story into a cohesive, writable novel and I have concluded that there’s something universal about this storyline. In fact, every page-turner I’ve ever read, and many Pulitzer-, Nobel-, or Man Booker- winners, follow this same path to structure their beginnings, middles and ends. And the more I look at it, the more I see the Bible is set up along exactly the same lines. Because it’s an inventive, artful compilation of texts designed to trick us into thinking it’s history, when in fact it’s just a story? You know I don’t think so. The Bible was written by about 40 different writers, in three languages, on three continents, over a period of 1500 years. For it to be so internally consistent is nothing short of miraculous. I’m convinced the reason the three-act structure resonates so deeply with us is because it reflects the greater reality of human history, which the Bible so accurately records. But crack the Bible open at random in a few places and the one long story is not apparent. Perhaps you landed in the book of Judges and Jael has just driven a tent peg into Sisera’s temple. Or Song of Songs, “Your hair is like a flock of goats, leaping down the slopes of Gilead.” Or Paul’s impassioned words: “Am I not free? Am I not an apostle? Have I not seen Jesus our Lord?” The storyline isn’t obvious, even if you read the Bible cover to cover. So if you’ve ever wondered how the apparently disjointed pieces fit together, come along for the next three posts as we look at Act I, Act II and Act III of the Bible’s story. Many, many scholars believe Philippians 2:5-11 is a Christ-hymn or early creed of the Christian church that Paul is citing, but Gordon Fee argues convincingly that this passage has a Semitic parallelism structure, not a Greek hymn structure, and is in keeping with Paul’s usual style. But the debate rages on and is reflected in different Bible translations: the NIV, NET and NLT offset the text as poetry, the ESV, NASB and NKJV include it in the paragraph as prose. We shall leave these scholars to their debate until someone unearths the sheet music. In the meantime, let’s look at the basic structure of this passage and see what Paul is drawing our attention to at the centre of the chiasm. I’ve highlighted the key words that show the parallel or contrasting ideas. ​​I teach middle-school, and let’s face it, eleven- and twelve-year-olds aren’t always the most attentive listeners. However, one guaranteed way to cause a hush to fall on the room is to say, “Want to hear a story?” Suddenly all eyes are locked on me and if the story is good enough, it brings the whole group together. I am a “good enough” teacher, but Jesus was a great teacher. Crowds flocked to hear him speak. “He spoke with authority, unlike their teachers of the Law.” Clearly, he wasn’t droning out long theological treatises. If you read the Sermon on the Mount discourses in Matthew 5 and Luke 6, he shocks, he questions, he unsettles, but above all, he tells unforgettable little stories people had to puzzle over. We call these parables, which literally means comparison in Greek. Jesus didn’t invent the parable, but he used them so often and so effectively he’s become synonymous with this genre of story. But what makes a parable a parable? Why did Jesus rely on this type of story to get his message across? There are three basic genres in the New Testament: history (Gospels & Acts), epistles and apocryphal prophecy. The Gospels are arranged in the order Jerome and other ancients thought they had been composed, Matthew first, John last. Then there is the book of Acts, written by Luke, that recounts the beginnings of the Christian church. 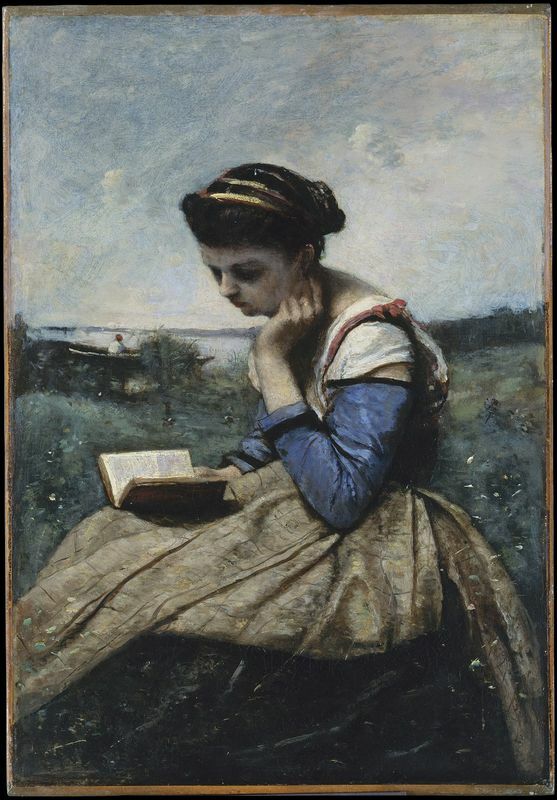 The following books, or epistles, are arranged, oddly enough, from longest to shortest. The New Testament closes with a lengthy series of visions, a revelation, about the end of the world seen by the apostle John while he was exiled on the island of Patmos. So what are the guiding principles for better understanding and appreciating our reading of each one? Illuminated G from Douce Pliny, 1476, Florentine Venice. Credit: Wikimedia Commons. Knowing the different genres found in the Bible can be helpful in understanding and interpreting them. 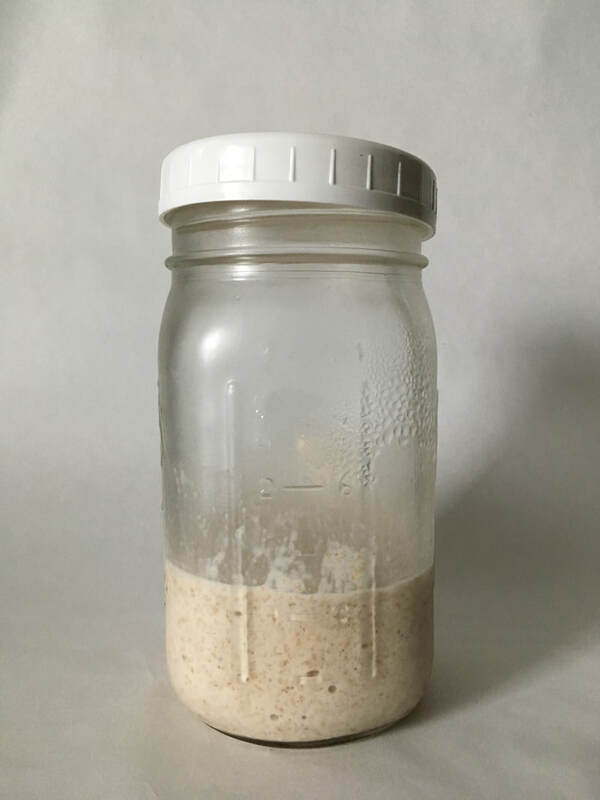 Nothing ground-breaking here, as we tend to sense instinctively whether to take something literally or figuratively. Just as you wouldn’t read Pride and Prejudice (novel: romantic comedy) the same way you’d read Leaves of Grass (poetry), you don’t read Leviticus 3:16 (And the priest shall burn them on the altar as a food offering with a pleasing aroma. All fat is the Lord's.) the same way you would Proverbs 3:16 (Long life is in [wisdom’s] right hand; in her left hand are riches and honour). One passage is clearly prescriptive—do this, don’t do that—and the other is figurative, personifying wisdom as a woman bearing abstract gifts. Genre was foremost on the minds of those who first compiled the different scrolls of the Scriptures into a fixed order. 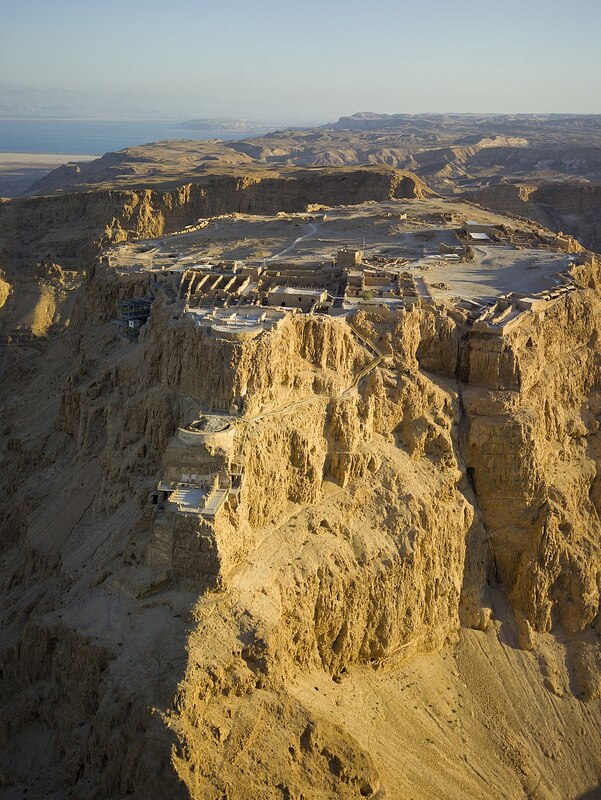 The Jewish Bible, or what Christians call the Old Testament, is called TaNaKh in Hebrew, a collection of three types of writings: Torah (Law), Nevi’im (Prophets) and Ketuvim (Writings). The Christian Old Testament books are arranged slightly differently, but the same basic groupings are preserved. Book by book, here’s a quick overview of the main genres you’ll find.